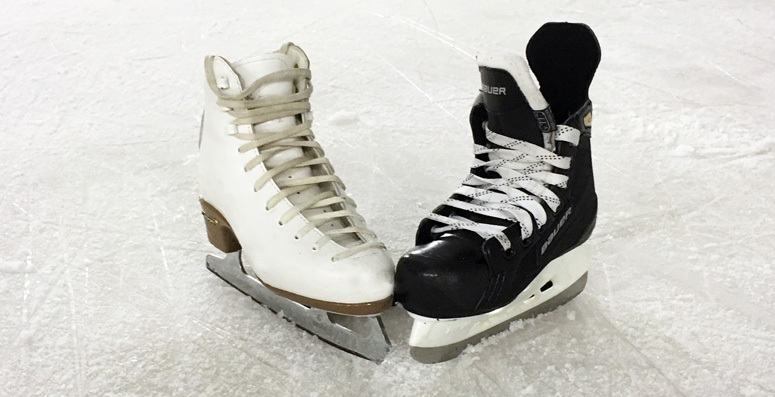 The Park District offers ice skating and hockey classes at Glacier Skating Academy in Vernon Hills. Ice skating classes are offered for 3 years through adult. Hockey instruction begins at 3 years old. REGISTER for current ice skating/hockey programs. These classes teach the very basic of skating skills by using fun and excitement along with instructional techniques. All skaters must wear gloves/mittens and a protective helmet. Skates included in fee. These classes are for one parent and one child. The class is geared toward the skater age 3 or 4 that has a bit more caution stepping onto the ice. This is a great way for the parent to learn as well; the parent will be on the ice learning at the same time as the child. Helmet required for the child. Basic skating skills will teach the skater the fundamentals of skating. The skater will learn skills such as forward stroking, forward swizzles, snowplow stops, backward skating, backward gliding and more. A helmet is required. Basic fundamental skating skills will be taught in a relaxed, skate at your own pace atmosphere. Coaches will rotate instruction based on your skill level. Learn to skate instruction for the future hockey player. Caged hockey helmet, elbow and knee protection, and gloves required. Students must attend the tot program until coaches recommend Little Dogs Hockey.